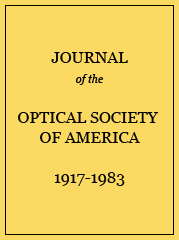 By means of a large aperture quartz spectroradiometer the spectral energy distribution of a special variable-length mercury lamp was measured between 14,000 A and 2300 A under widely varying conditions. The effects of current, voltage and ventilation on the radiation at fifteen important maxima were measured, including three maxima in the infrared, four in the visible, and eight in the ultraviolet. The composition of each maximum is given, and curves are plotted showing the degree of resolution used; the variation in intensity of each maximum with voltage gradient at constant current; the variation of intensity of the strong ultraviolet maximum near 3660 A with voltage for five current values from two to four amperes; the stationary characteristic curves of a high pressure arc; two typical cases of spectral energy distribution at constant power; and the variation with current of the intensity of each maximum at constant power. It was found that for constant current the energy in each maximum except those in the infrared increased linearly with the voltage after a certain minimum (near 8 volts for 2.5 amperes) was reached. The pressure was measured for each stationary state used, the extreme values being 20 mm of mercury and two atmospheres. Where power input was constant the energy radiated in each maximum increased rapidly with decreasing current. It was found that the most satisfactory condition for running an arc at pressures under two atmospheres, at least, was to have the pressure as high as possible, so that for a given power input the voltage was high and the current low. This condition gives the greatest efficiency and the least change in energy distribution with total energy variation. The relation of pressure to the other variables and the effects at higher pressures are being investigated further; also an absolute determination is being made of the energy available in each wave-length for photochemical purposes. 1, 2 Selective quartz radiation?